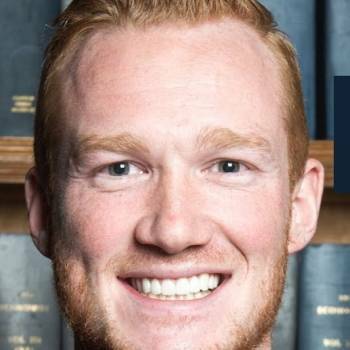 Olympian Greg Rutherford MBE is one of the UK’s most decorated long jumpers. 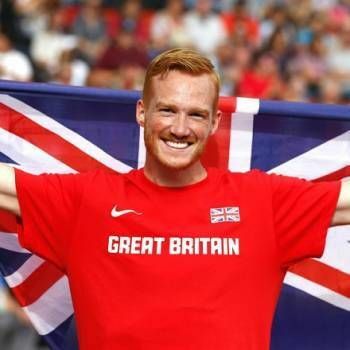 First coming to light as the bright hope for the future in 2005 when he won the European Junior Championships with a jump of 8.14m, Greg has battled with injury throughout his entire career before achieving the greatest accolade of his discipline; winning Gold at the London 2012 Olympics. Greg has become one of the finest Olympic speakers, mixing the tales of the track with the advice needed to be the best you can be in every aspect of life. In both 2007 and 2008, Greg struggled to reach his full potential due to continuous hamstring tears and multiple problems affecting his tonsils. Greg reached the Olympic final in 2008 only to finish tenth, with a jump of 7.84m. After considering his future in the sport, a turning point came after American coach Dan Pfaff was drafted into the team to teach Greg a new technique to prevent injuries and make him a more consistent performer. The training worked with resounding success, with Greg winning silver at the 2010 Commonwealth Games as well as achieving victory at the Diamond League meet in Eugene, USA. 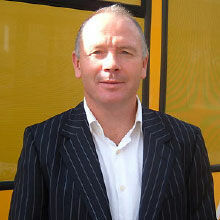 Rutherford’s ability to overcome adversity in order to become the very best once again has gained him a reputation as one of the most desirable sports speakers on the after dinner circuit. Greg reached his full potential in the 2012 Athletics season. In May, he equalled the British record of 8.35m in California, followed by victory at the Rome Diamond League, jumping 8.32m. At the London 2012 Olympics Greg entered the Olympic Games as the best long jumper in the world, a ranking that proved to be accurate, he smashed the competition by a full 17cm and taking his place on the podium in front of a home crowd of 80,000 people. Greg was brilliant and completely stole the show. His speech was very natural and flowed really well, he came across as very humble, funny and gracious. Even our photographer remarked that it was the first time in a very long time that he had seen a celebrity blush when being applauded and that it was very endearing. Greg made time to have his photograph taken and sign every piece of paper that came his way, with anyone who asked; in fact he stayed way beyond the time we had booked him till. He also got involved with all the interactive element of the event which we really appreciated. Several of the board of directors remarked about how great he came across and he really did make the event for us.